*Madonna’s own fans turned on her in New Orleans over the weekend when she told the crowd at her concert to vote for Barack Obama. “I don’t care who you vote for as long as you vote for Obama,” she said, before a chorus of boos rang out amid cheers. She then walked it back a bit. “Seriously, I don’t care who you vote for as long as you take responsibility for the future of your country … Do not take this privilege for granted. Go vote,” she continued. It seems that whenever anything goes down and people react in a diverse manner, the media always choose to highlight the negative. I saw the story earlier and finally decided to watch the video with some degree of trepidation. Come to find out there were just as much, if not more, cheers than boos. As an Obama surrogate, you would think EUR would know better than to allow themselves to be unwittingly used in a manner that could be detrimental to his re-election campaign. I do not believe for half a second that Madonna would have more than a handful if any Romney supporters at her concert! Madonna is waaaaaaaaaay out there! She is / has been historically wild! 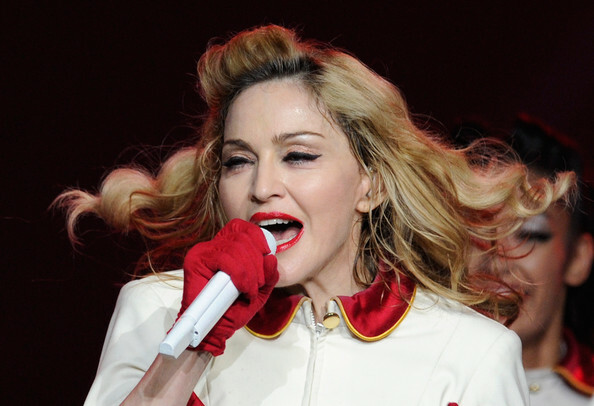 Madonna is very rich…. she is definitely not in the 47%. So if she wanted to protect her fat purse… she could vote for the other guy.